There was another case of deja vu at the royal wedding reception for Prince Harry and Meghan Markle (the Prince and Princess of Sussex) on Saturday (May 19). 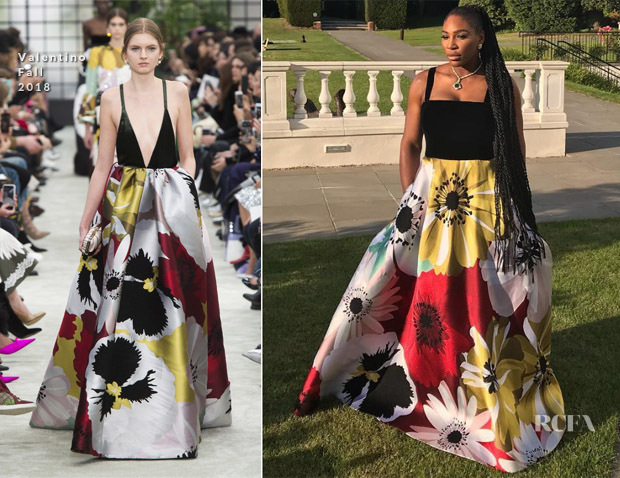 Following Serena Williams’ Atelier Versace look, the tennis star changed into a Valentino Fall 2018 gown which Amber Heard had worn nine days earlier at Cannes Film Festival. The difference is: the bodice. This should delight the majority of you who has a huge grievance with the fit of Amber’s bodice. While I didn’t mind Amber’s look, there is no denying it’s much improved with the square neck velvet bodice.